Hawken's Decade Displays celebrate the School's rich history through items chosen from 100 years of archived materials.Unveiled in succession, the Decade Displays have been carefully crafted in collaboration with alumna Ann Conkle ’78, Executive Vice President of Communication Exhibits, Inc. in Canal Fulton. Each display contains memorabilia, photographs, and other historical treasures from one of Hawken's decades. Included is an iPad that digitally displays photos, videos, yearbooks and other historical artifacts. This digital content can also be viewed online at the tabs above. The display cases are currently on view at the Lyndhurst campus and ultimately, the 11 displays will become part of Hawken’s permanent archive collection on the Gates Mills campus. In 1915, a small group of parents recruited a progressive educator to tutor their children in a converted house at 1572 Ansel Road in Cleveland. 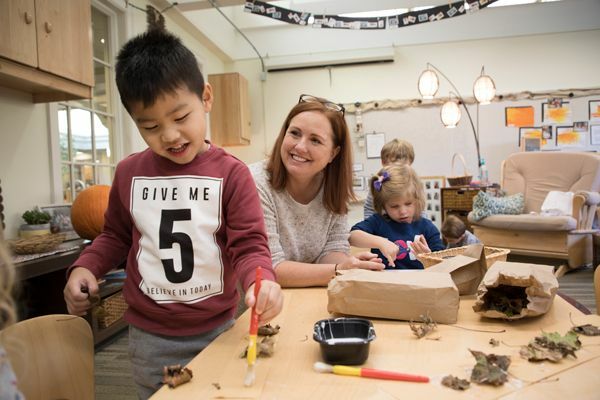 Word about James A. Hawken and his innovative faculty quickly spread and Hawken soon found himself at the helm of a growing school for boys, kindergarten through grades nine. Through the generosity of Chester and Frances Bolton, Hawken School moved to 5000 Clubside Road in Lyndhurst (the current location of the Lower and Middle Schools) in 1922 to better meet the needs of a burgeoning student body. In 1961, Hawken School extended its curriculum to include grades ten through twelve and added a 325-acre campus in Gates Mills (the former White Family estate) to house the New Upper School. In 1973, Hawken School took another major step when it instituted coeducation and opened its doors to girls. Further enhancing Hawken’s ability to nurture young minds, the school initiated a preschool for 3 and 4 year olds in the fall of 1993. A state-of-the-art inspirational Early Childhood Center opened in 2012. In 2010, Hawken opened an urban extension center at University Circle that connects students with some of the greatest cultural arts organizations, medical research centers, and hospitals in the world, providing meaningful service and hands-on learning experiences. Throughout its evolution, the school has always remained dedicated to James A. Hawken’s belief in the importance of “fair play” and to his original goal, “That the better self shall prevail and each generation introduce its successor to a higher plane of life.” These concepts remain the cornerstones of a Hawken education and instill in students the virtues of honesty, kindness, self-respect, tolerance, and the fundamental skills of working together as a community. Today, Hawken prides itself on a diverse student body of 1,010 girls and boys. The curriculum is designed to develop the talent, drive, and ability in students who come from a wide variety of cultural and ethnic backgrounds. In addition, the school urges all students to remain engaged in the educational process and to continue learning and contributing to the community throughout their lives. When Hawken School celebrated its 75th anniversary, a group of dedicated volunteers created The Hawken Book, a detailed text documenting the School’s founding. 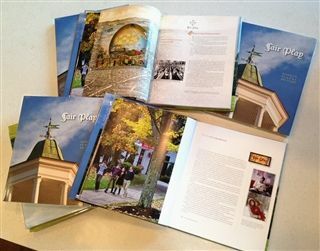 To commemorate our 100th anniversary, we again turn to print with an illustrated book entitled Fair Play that captures the heart, soul, mind, and spirit of Hawken’s rich history from over a century ago to the present day. This beautiful keepsake is available for purchase by clicking here.